Making fine custom knives is in their blood, and this Freedom Fighter by Rainy and son Cory Vallotton is evidence of the claim. It's a dual-action automatic with a hidden bolster release and thumb stud opener. 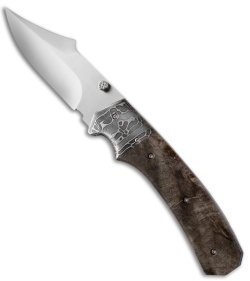 The clip point style blade is hollow ground and satin finished ATS-34 stainless steel. 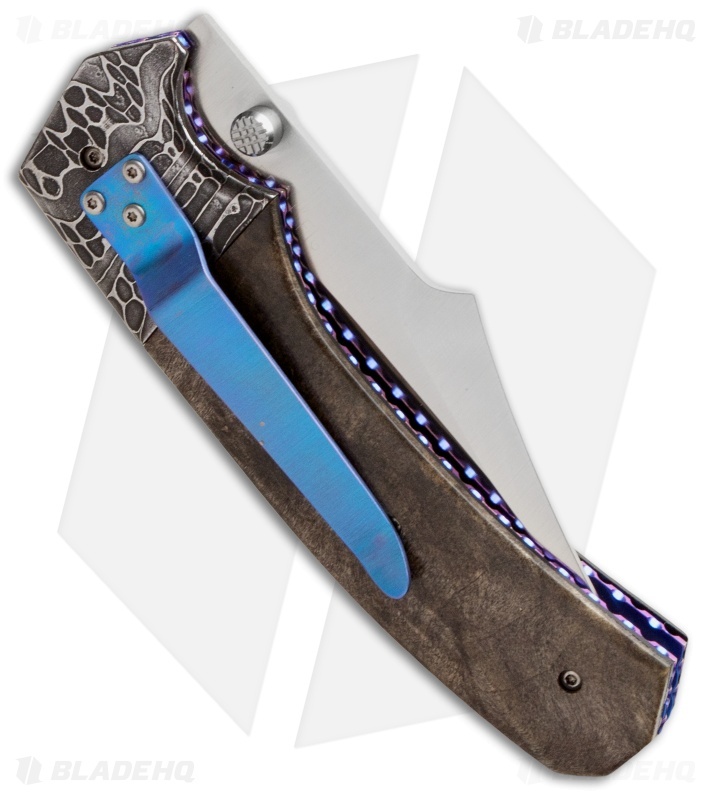 Box elder wood scales and Chad Nichols "Croc Skin" Damascus steel bolsters sit atop the purple/blue anodized titanium liner lock frame. The liners and 440C stainless steel back spacer are hand filed. 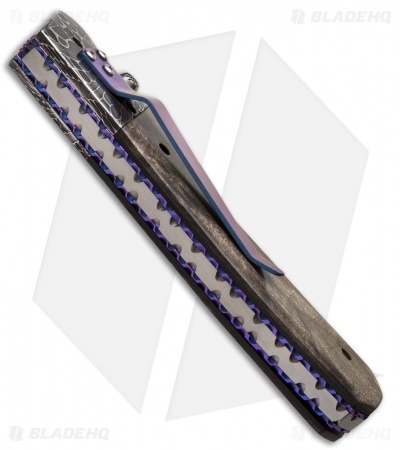 The Freedom Fighter is outfitted with a titanium pocket clip for tip-down carry. This knife is #28 in a run of 30 originals, marked on the blade and included with the certificate of authenticity.